Smith was born and raised in the neighborhood and attended J.R. Giddings school, now the site of Results Gym. He played semi-pro basketball until an injury forced his retirement. 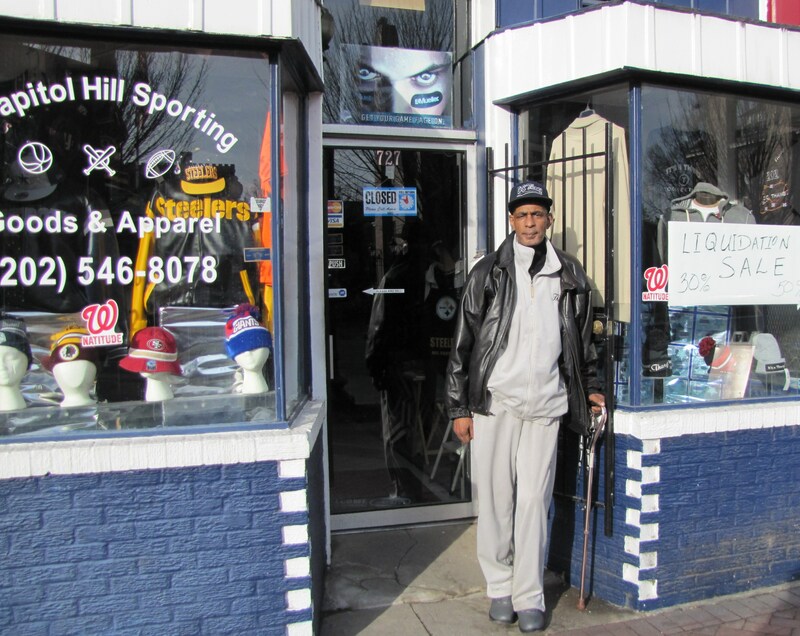 He has had other businesses before this sports shop, including a NE carry-out. 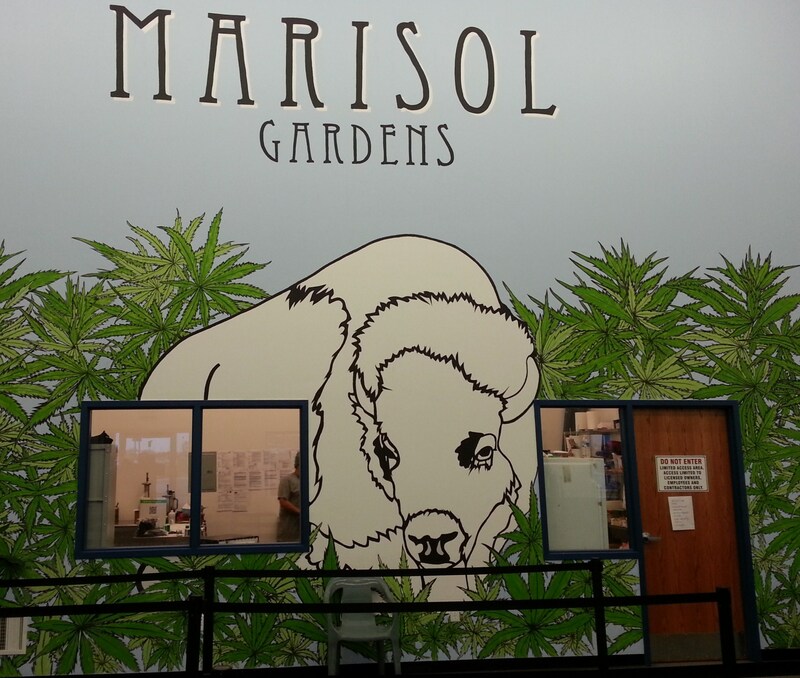 Marisol Gardens recreational marijuana outlet, administrative office. Pueblo County, Colorado. A Washington Post poll shows that DC residents support legalization of the sale of marijuana for personal use, 2 – 1. It’s no wonder that the Pueblo City Council has welcomed the decriminalization and legalization of marijuana as a means of increasing revenues – which, under the terms of legalization – will benefit local schools. Beyond that, the City Council is looking forward to the economic benefits they expect a legal marijuana industry to provide. Consequently, Pueblo County is arguably the friendliest county in Colorado to the newly legalized marijuana industry. I visited two marijuana providers last week on a trip to Pueblo (you must show ID proving you are 21 to enter the premises). Currently, only the county’s ten licensed medical marijuana dispensaries are eligible for retail licenses, and only two of those are currently licensed to sell recreational marijuana. Several additional medical dispensaries are expected to open their doors to the retail trade this week. Chris Jones, Compliancy Officer for one of the retailers already in operation, said that the first month sales had exceeded their expectations. The store was currently out of smokeables until later in the day but did have a supply of edibles, including lozenges and chocolate chip cookies. Jones explained that the shortage was owing to production restrictions which prevented growers from gearing up to meet anticipated demand before January 1. 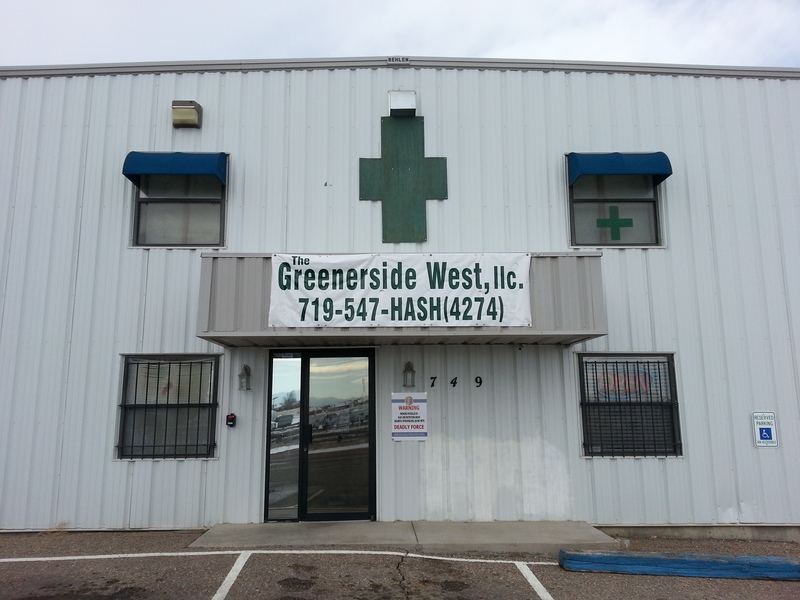 Production was limited by the number of medical marijuana patients registered with the dispensary prior to that date. Colorado law prohibits retailers purchasing cannabis products from other growers, and it takes 120 days for a plant to be productive. This will hold until October when new sellers can enter the market – then retailers will be permitted to purchase from wholesale in-state growers. This particular venue operated in a large, well-designed open space, with high ceilings, lots of light, glass cases, and a knowledgeable staff. Purchasing cannabis is as easy as buying alcohol. After entering the premises, IDs are checked again when purchases are made at the cash register. No personal data is collected except for imagery recorded by the legally required video cameras monitoring transactions. Some retailers are reportedly taking major credit cards. Jones spoke as to how tightly cannabis products are regulated and tracked electronically from seed to retail shop, allowing state officials to determine a shop’s inventory from outside the store. Jones said that his store sells 1/8 of an ounce for $42.50 – plus taxes of $13.50 – totaling $51.40. Taxes include state and county sales tax plus 25% state tax related specifically cannabis. Prices vary statewide – a shop near Mile High Stadium in Denver was reportedly asking $60.00 1/8th ounce last week. One eighth ounce (3.5 grams) will yield about seven joints. The legal limit on purchases for Colorado residents is one ounce per purchase (current price – $400); for out of state visitors, the limit is 1/8th ounce per purchase. There is no limit on the number of purchases an individual can make, but, under state law, it is illegal to possess more than one ounce. In the same vein, the law permits users to grow up to six plants per individual “in a locked, enclosed space,” but that’s not easy, requiring an investment of up to $500 to create ideal growing conditions. Personal sale of purchased or home-grown marijuana is prohibited. One of the concerns regarding legalization was that the almost 32% total tax on cannabis sales would push the price much higher than the black market price which has been $25 – $30 an eighth ounce. One observer, who is familiar with the issue, said that those concerns fail to take into account the price inflation resulting from the black market, noting that legalization should bring downward pressure on the price levels, allowing officials and users to find out what the true value of cannabis is. Jones said that the retail sale of cannabis had resulted in price increases on the black market, attributing that counterintuitive claim to an effort on behalf of black market dealers to try to make up for income lost to the legal market. It could also be that the legal sale of cannabis has established a new price level for the black market and indicate that prices on the black market will follow the legal price. In the wake of legalization, another retailer predicted that retail prices will be cut in half and that there would be a glut on the market by the summer of 2015. He added that he expects the legal retail price to drop to $25 an eighth ounce plus tax – competitive with (or less than) the black market price, since legal production costs will be much less than the production price for small illegal local producers. This raises the question of what incentive will there be to sell on the black market if cannabis is widely available at a lower price. According to one retailer, his customer base the past month has been “older and well off” – many from out of state, including New Mexico, Montana, Arizona, Kansas – even as far away as Massachusetts, New Jersey, and Chicago. He sees economic benefits for a county or state becoming an “accepting haven” for users of cannabis. Colorado law prohibits the public consumption of cannabis, but localities are permitted to define “public.” Pueblo requires users to be inside their home – use of marijuana in yards or on porches is prohibited. Most hotels and motels prohibit smoking in their rooms – although one international hotel chain with a location in Pueblo permits guests to smoke marijuana in the nine smoking rooms of the 63 rooms in the hotel. Regulations are in place but enforcement seems to be feeling its way. 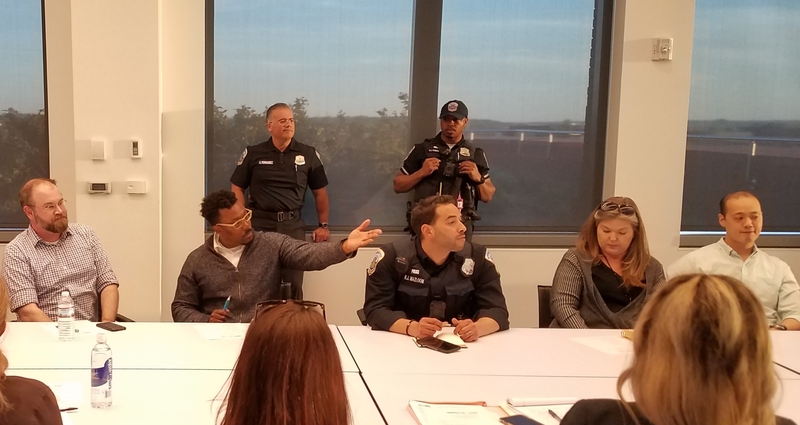 In Denver, police are reportedly not going out of their way to enforce the ban on public smoking unless they get a complaint or unless they encounter an “in your face” user, in which case they can issue a citation which is handled in municipal court, like a traffic ticket. And, in some localities, those opposed to legalization on moral or professional grounds, are coming up against the political and business interests who see hundreds of millions in increased tax revenue, income from tourism, and an influx of new residents. It will take many months – if not years – for the effects of legalization to be known. As for now – after one month of legalization – in Pueblo and other parts of Colorado, it’s a non-issue. The Mayor recalled using the library “143” years ago. 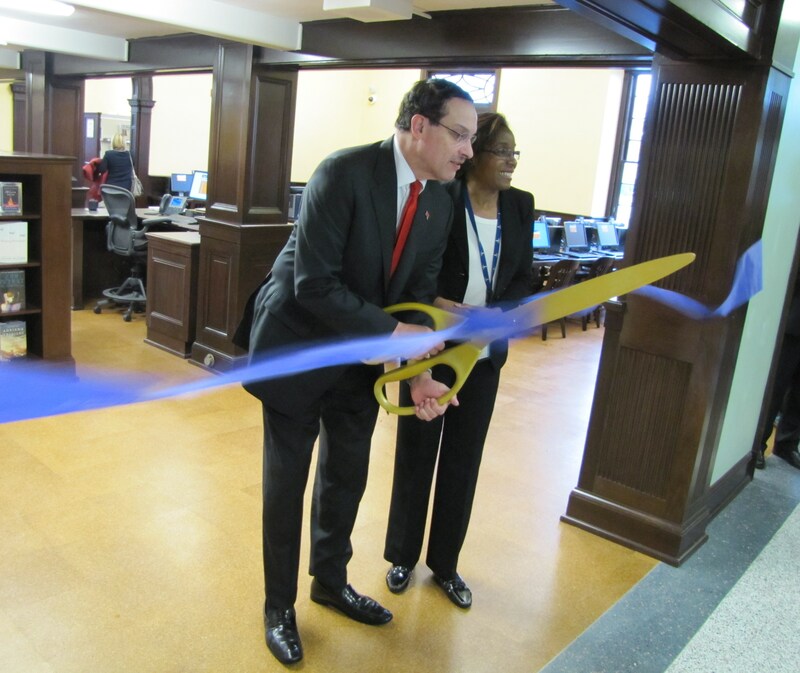 Mayor Gray cut the ribbon which officially marked the reopening of Northeast Library today, after a 16 month closure for a $10 million renovation. 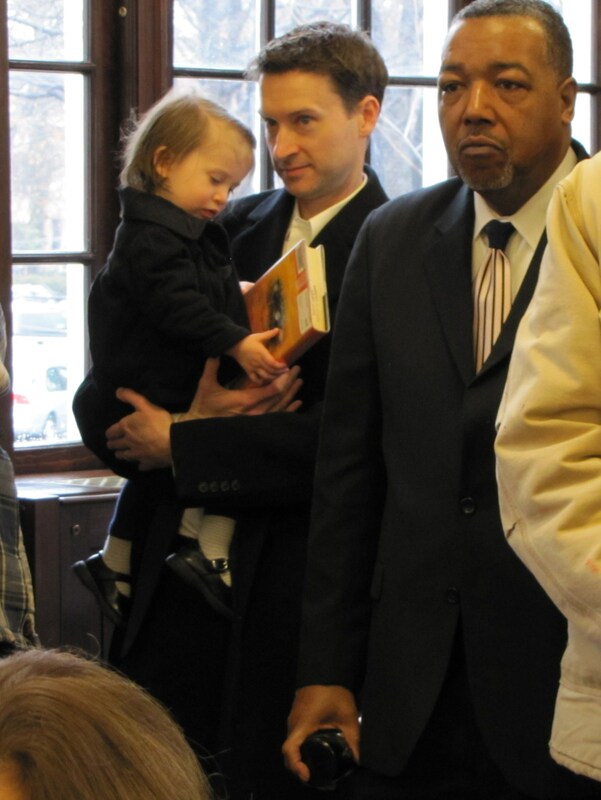 Gray recalled having grown up at 6th and L Streets and coming to the Library ”143” years ago to do homework or interact with somebody. 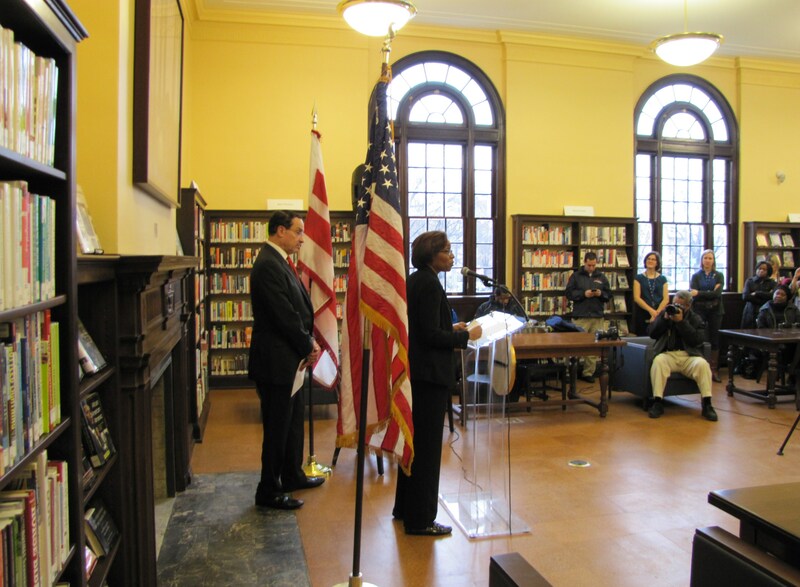 “Today,” he said, “I’m proud to be here and part of the investment of this library as part of the community.” He was introduced by Interim DC Chief Librarian, Joi Mecks. 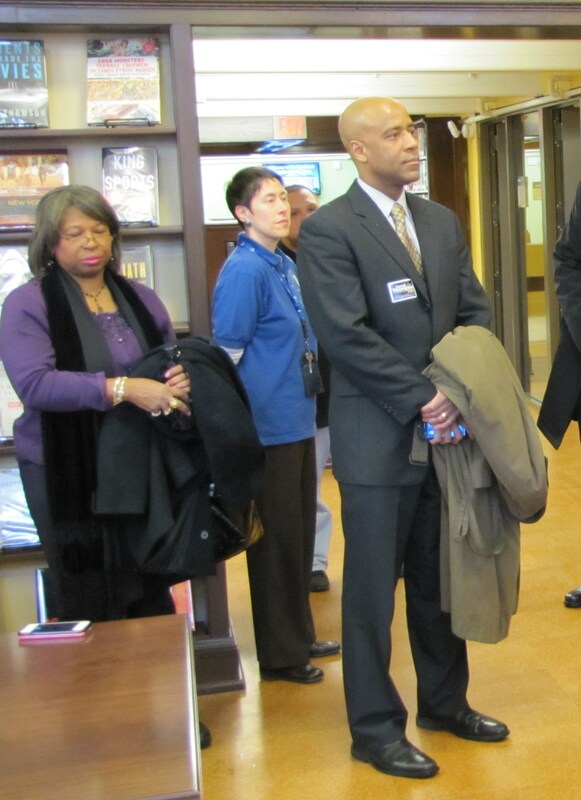 Also in attendance at today’s ceremony were candidates for Ward 6 Council eat, Charles Allen and Darrel Thompson. The crumbling façade of 425 8th Street – a long vacant eyesore on Barracks Row whose last occupant was a retail jewelry store – is getting a face lift and interior renovation. 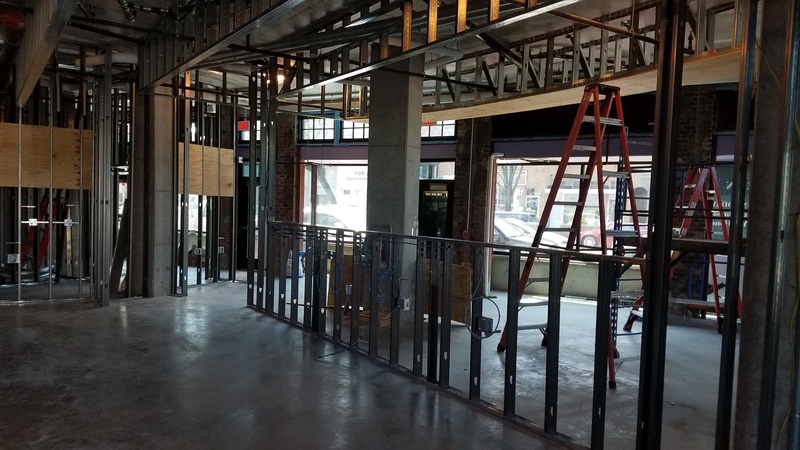 In about two weeks, it will be the location of a Bank of America ATM. Perhaps not ideal for residents anxious for retail on 8th Street, but certainly an improvement. 425 8th is located between the Verizon store and DC – 3 – across the street from the Fire Station. 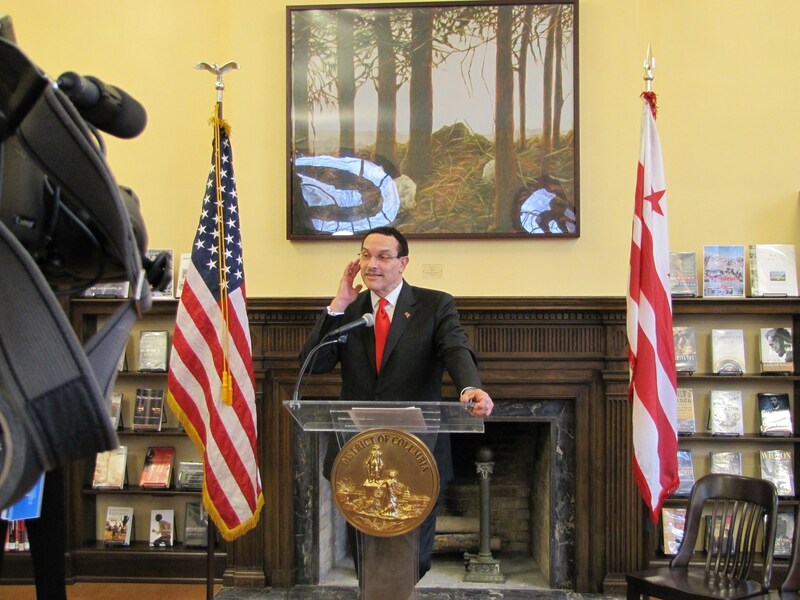 Mayor Gray will attend the ribbon cutting ceremony marking the opening of the newly renovated Northeast Library at 10:00am, 330 7th Street, SE. 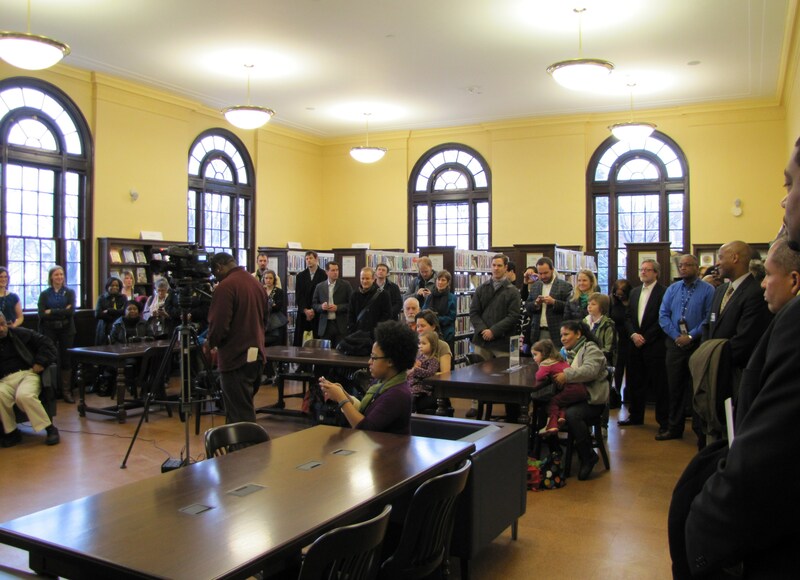 The Library has been closed for 16 months for a $10 million renovation. 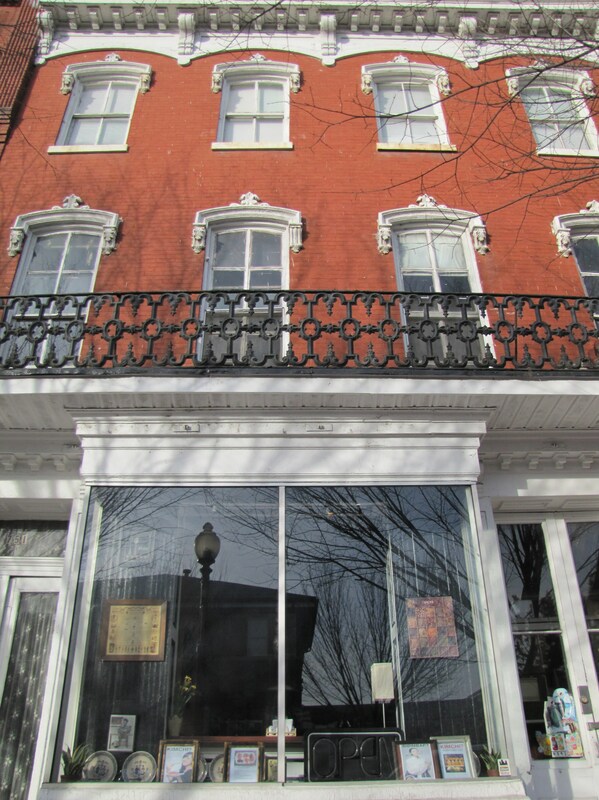 CHRS Historic Preservation Committee meets at 6:30pm, Kirby House, 420 10th Street, SE. 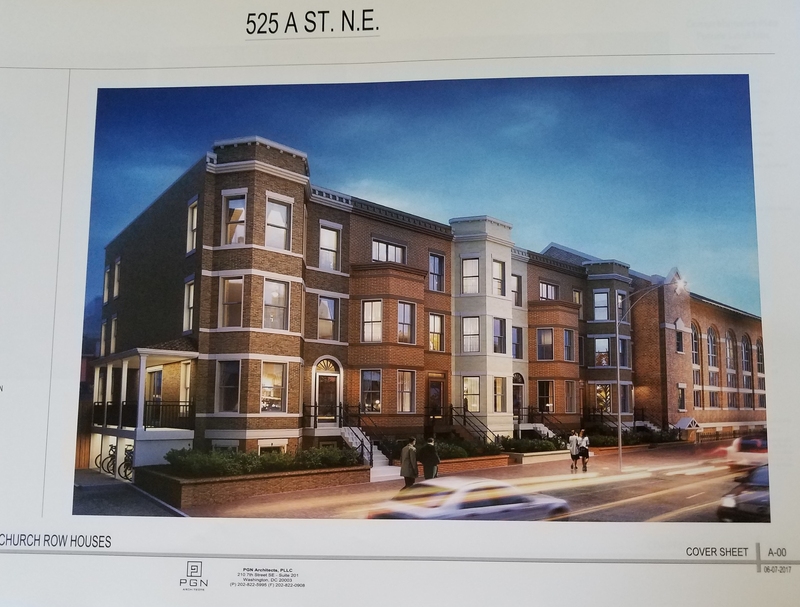 ANC6b Planning and Zoning Committee meets at 7:00pm at St Coletta of Greater Washington, 19th and Independence Ave SE. Request for a zoning variance from parking space size requirements for a new apartment building at 1500 Pennsylvania Avenue. ABC6B Transportation Committee meets at 6:30pm in Hill Center. Discussion of FY14 Performance Parking Fund and possible projects. Discussion of DDOT oversight hearing. Joint meeting of ANC6B ABC Committee and Outreach & Constituent Services Task Force on at 7:00 pm in Hill Center. PSA 107 meets at 7:00pm, location TBA owning to temporary closure of Southeast Library. 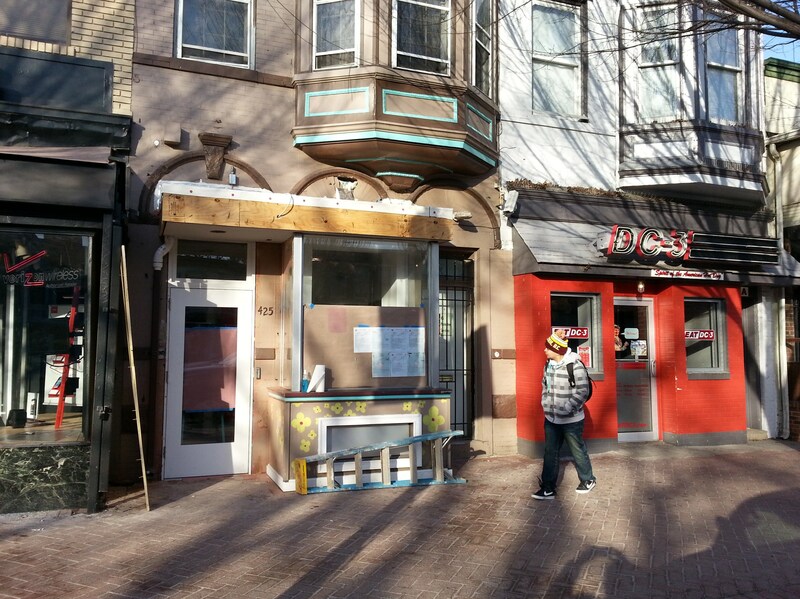 The popular Alexandria carryout Café Old Town has opened a second location on the end of Barracks Row in the space formerly occupied by Capitol City Subs at 751 8th Street, SE. Owner Cristina Kwon leased the building last summer and remodeled it. The Barracks Row location is primarily carry out, but does have limited seating for inside dining. What makes this place special are the Korean Specialties – particularly the imaginative kimchi tacos (with gluten free corn tortillas), kimchi burritos, and kimchi quesadillas – all with the customer’s choice of marinated rib eye steak (bulgogi), spicy pork, or grilled chicken. For the uninitiated, kimchi is a traditional spicy fermented Korean side dish made of vegetables with a variety of seasonings. Kimchi has acquired its reputation as a health food because it is low in calories and contains a high concentration of dietary fiber. One serving is said to provide over 50% of the daily recommended amount of vitamin C and carotene. In February, 2008, Health Magazine named kimchi as one of the “World’s Healthiest Foods” for being rich in vitamins, aiding digestion, and even possibly reducing cancer growth. Kimchi is rich in vitamin A, thiamine (B1), riboflavin (B2), calcium, and iron, and contains a number of lactic acid bacteria, among those the “healthy” species Lactobacillus found in yogurt. Other Korean specialties on the menu include Bibimbap – lettuce, eggs, carrots, cucumbers, squash, bean sprouts, red cabbage and bulgogi, and the Bulgogi Burger – green peppers and onion with provolone cheese, bulgogi, and Korean hot sauce. Sandwiches such as the California Club, the Turkey Avocado Wrap, the BBQ Sub with slaw and the Reuben with corned beef and/or pastrami have been popular choices at Café Old Town Alexandria, according to owner and chef Kwon. The traditional breakfast menu features a Tomato and Fresh Lime Burrito.